Drive-In Rack optimizing available space. Elimination of aisles between shelves. Admits as many references as load lanes. 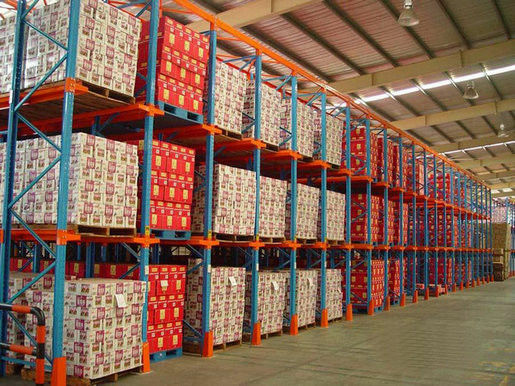 Appropriate system to store homogeneous, low-rotation products with a large number of pallets per reference. 1. Drive in rack system is last in first out store system. Suits for unified palletized goods. 2. 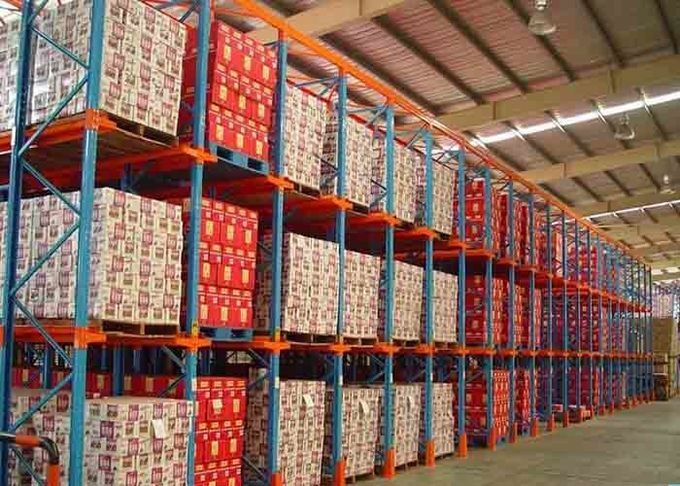 Drive in rack system is a high density store system. It can use most of the warehouse space. So it can save space, save store cost. In the same area, push back rack can store much more goods. 3. Push back rack system doesn't need forklift to go into its lanes, so enhance safety for forklift operator. 3. More efficient picking abilities with less chance of errors. 4. Less on-hand inventory and more inventory turns. 5. Improved on-time product delivery by consolidating orders with less errors. 8. Increased throughput and flow. 10. Improved facility layout and appearance. 11. Improved ergonomics and reduced worker fatigue. 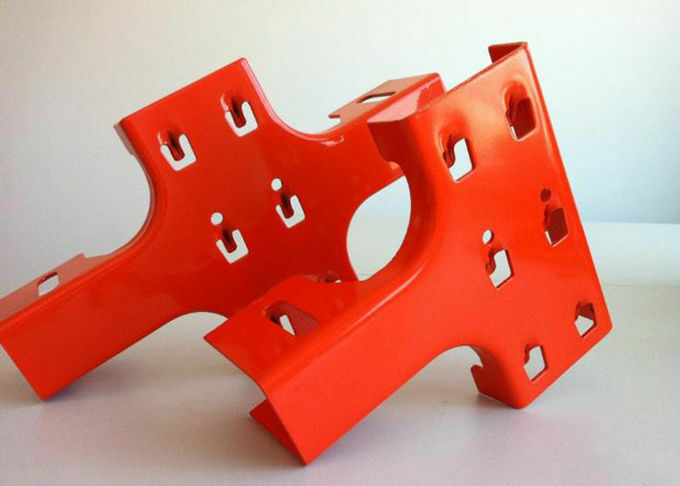 Frames are made up of two uprights with the corresponding horizontal& diagonal bracings, footplates and accessories. The frames have slots every 75mm to accommodate the beams and supports. There are two types of arms, which are single arm (left side and right side single arms) and double arm. The single arm is used in each side of the racks, while the double arm is used in between. 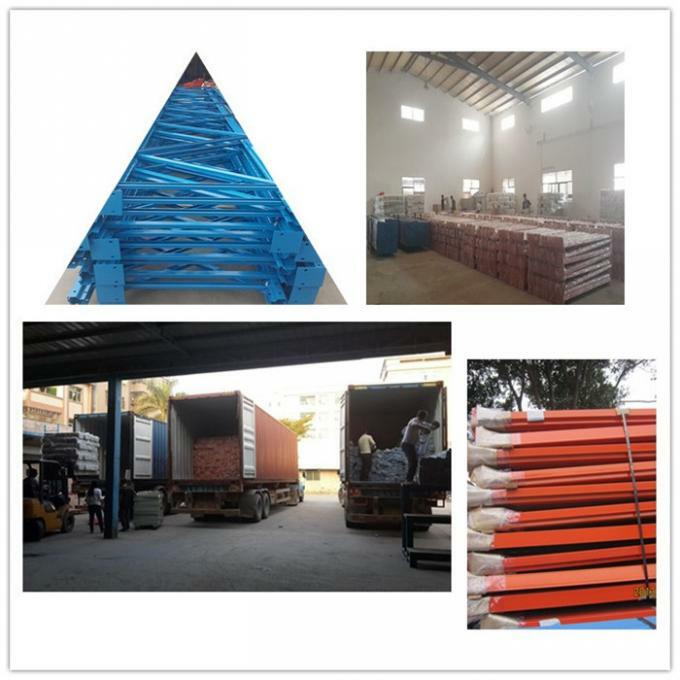 Support rails are stamp formed and the length can be customized. The rails are designed without connectors to ensure uniform loading. 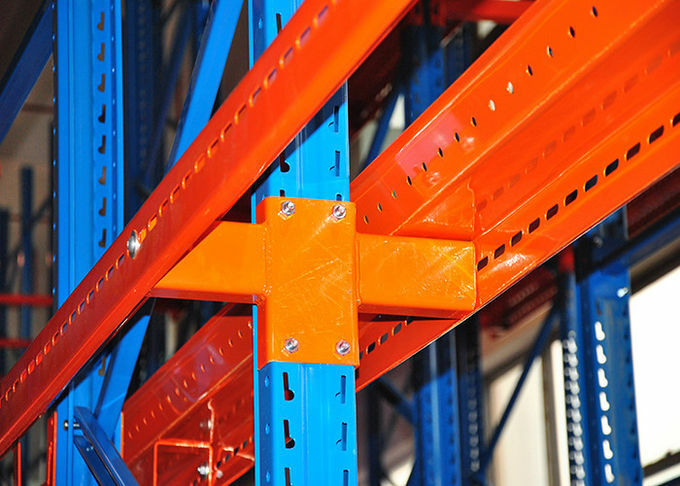 Top beams and top bracings are used to increase integrity and stability of the racking system.